I remember exactly where I was and what I was doing on the June evening I got the email from Disney and Marvel Studios inviting me to come to Los Angeles for the premiere of Disney’s Christopher Robin. 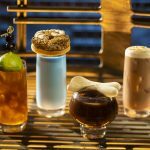 As I scrolled through the email, I saw that the whirlwind three day trip would also include a Marvel Event (I got to interview Trinh Tran who is the executive producer of Avengers: Infinity War) and attendance at the early press day for Ralph Breaks the Internet, which will be released on November 21st. To read all of my blog posts from that trip to date, click here. 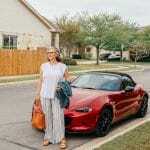 Disclaimer: We are a participant in the Amazon Services LLC Associates Program, an affiliate advertising program designed to provide a means for us to earn fees by linking to Amazon.com and affiliated sites. This post may also contain affiliate links to other sites where I will be paid a commission by the seller if you make a purchase. This post may contain other affiliate links as well. 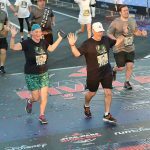 I attended events in Los Angeles as a Disney partner. All opinions are my own. I was excited to attend the world premiere of Disney’s Christopher Robin and interview Ewan McGregor (duh.) Actually, “excited” is a pretty lame word for how I was feeling. This Marvel fangirl was bouncing up and down (literally) at the chance to ask Trinh Tran aaallll the questions, like why couldn’t you just give Peter Quill and Gamora a chance? I didn’t really ask her that, but I wanted to. I still have hope on that one, people. I’ll be honest here: I wasn’t bouncing up and down about Ralph Breaks the Internet, which is the sequel for Wreck It Ralph. Don’t get me wrong. I love Ralph and Vanellope. I have most of the dialog from the movie memorized because my kids are currently watching it on a loop in anticipation of the November release. Maybe it was the fact that the excitement of attending my first Hollywood premiere and getting to meet someone so closely aligned with the Marvel Cinematic Universe eclipsed poor old ham hands Ralph. Maybe because our visit to Disney Animation Studios was on the very last morning of our tour and I thought maybe it would be anticlimactic after all the other spectacular stuff we did. Maybe I thought a behind the scenes look at the technical aspects of how an animated film is made wouldn't be exciting to me. I don't usually wonder how stuff works…I just enjoy or use the finished product. I'm a “I just wanna watch the movie” girl. Whatever was going on with my thought process, I was wrong, and I probably should have known better. Disney doesn’t do “meh.” They don’t do “Aw, that’s nice.” They do big. Spectacular. Fantastical. The kind of amazing where you really mean AHHHMAZING and not just something you say to describe how much you love your Starbucks blended coffee. While it is hard to pick a “favorite thing” out of a trip like this one, I’m going to call it. The early press day for Ralph Breaks the Internet is officially my FAVORITE part of this trip and I predict that Ralph Breaks the Internet will soon be my new favorite movie. I’m ridiculously excited for the November release…as in obsessively refreshing the Fandago website to see if I can be one of the first to buy advance tickets excited. I haven’t seen Ralph Breaks the Internet in its entirety but I have seen a lot of behind the scenes treats and got the chance to hear a presentation and Q&A from director Rich Moore, Director/Writer Phil Johnston and Producer Clark Spencer. I’m sharing some tidbits from that presentation from you here but stay tuned over the next few weeks because I have more good stuff! Check out this awesome new trailer that was just released TODAY! Although Ralph and Vanellope might be unlikely buddies, they have a very pure and true friendship. The movie begins with Vanellope’s game breaking and thus being shut down, with that dreaded “out of order” sign across the screen. The replacement part needed to fix the game isn’t cost effective – as in the part costs more than Sugar Rush earns – so Vanellope is faced with trying to figure out who she is and what she’ll do without her game. 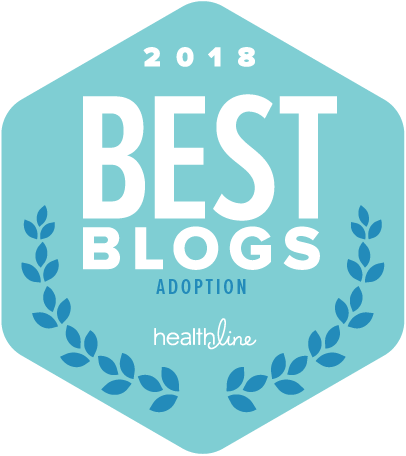 Because Ralph so treasures their friendship, he’ll do anything to help make the situation better, including tracking down a replacement part for Sugar Rush and venturing into unfamiliar territory – the internet. 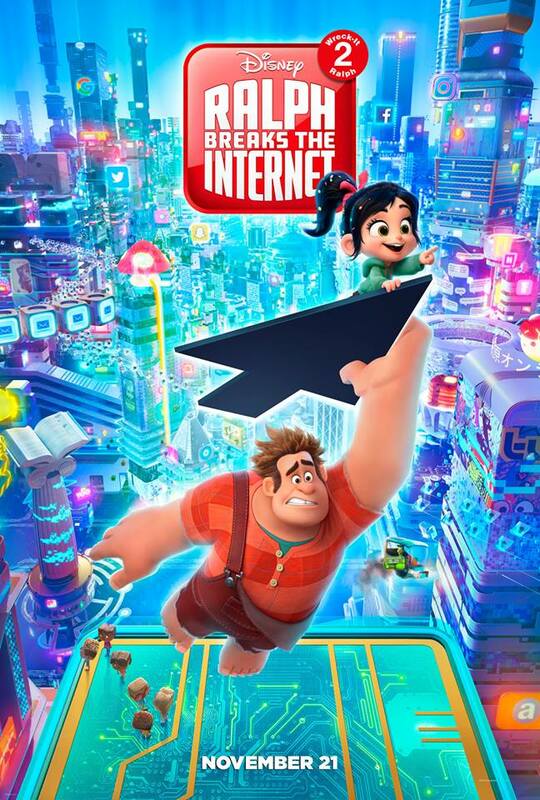 Ralph Breaks the Internet shows different facets of Ralph and Vanellope’s friendship and how it deepens. It is a really sweet and pure friendship and I love that we have a relationship between main characters that doesn’t have a romantic element, although we do get plenty of romance from Felix and Calhoun, who are still going strong. I love the message about going outside your comfort zone to help a friend, and although there are many other things to love about this movie (amazing technology, advances in animation that will make your eyeballs pop and fun new characters and shenanigans) the message of friendship is strong and what will make this movie special. This is something you’ll experience without knowing. I am lucky to have gotten the behind the scenes look at the making of this film and to hear the people who are responsible for the various aspects of movie making talk firsthand about their work on Ralph Breaks the Internet. Hearing these perspectives is definitely given me a deeper appreciation for the movies I love to watch, and while the average moviegoer probably won’t know the in’s and out’s of production, they’ll experience the heart that went into this movie. Not only do viewers of Ralph Breaks the Internet get the treat of a film that has been made by a team who has worked together for a long time, they get a story that builds on that emotional storytelling we loved about Zootopia. We love Ralph and Vanellope because they’re imperfect and we can see elements of ourselves within them and the team who made this movie really gets that we need a story we can relate to…and they’ve delivered it. The talent behind actually bringing the world inside our computer to life is pretty awesomely mind-boggling, in a good way, of course. Picture the internet as a bustling city like Dubai or New York City, full of 24/7 activity and people going places and doing things? It might be hard to imagine but I know you'll have that “aha” moment once you see the interent in Ralph Breaks the Internet. It's fabulous and there's so much to see and take in. I can see this being one of those movies people will watch again and again and notice new things each time. 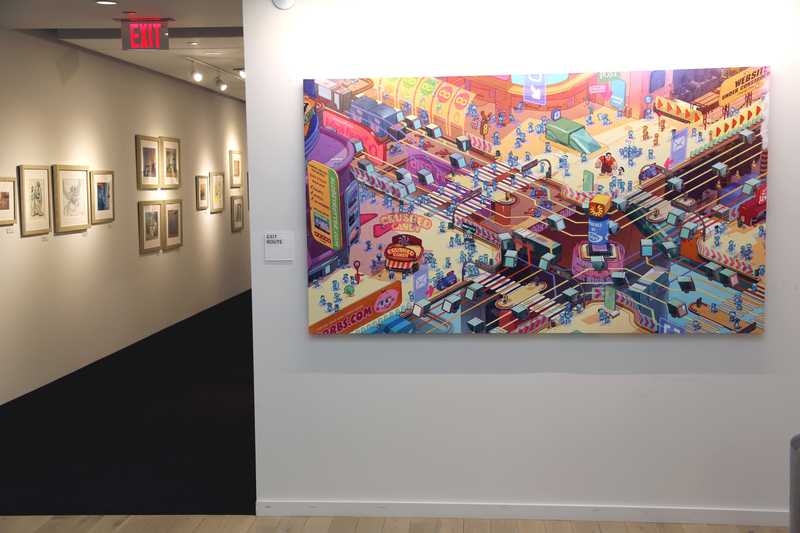 The internet…and while this is a cool painting, the animation is so much better. 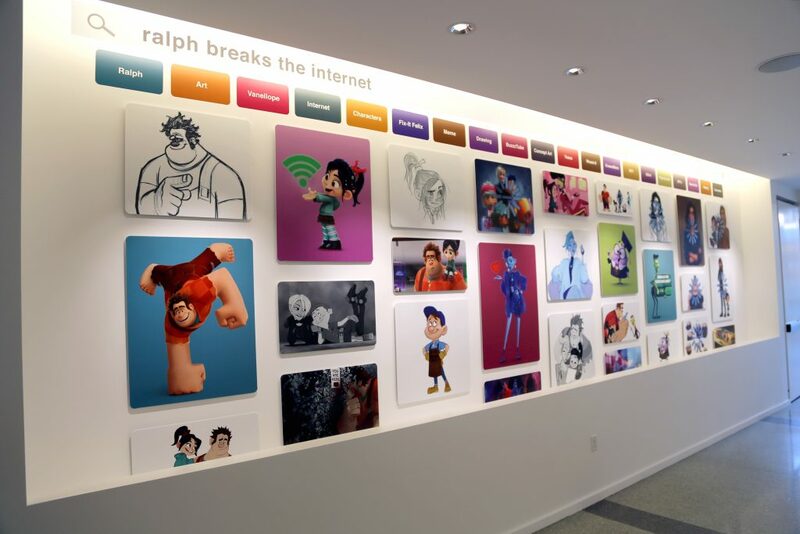 Environment as seen at the Long Lead Press Day for RALPH BREAKS THE INTERNET at Walt Disney Animation Studios on July 31 and August 1, 2018. 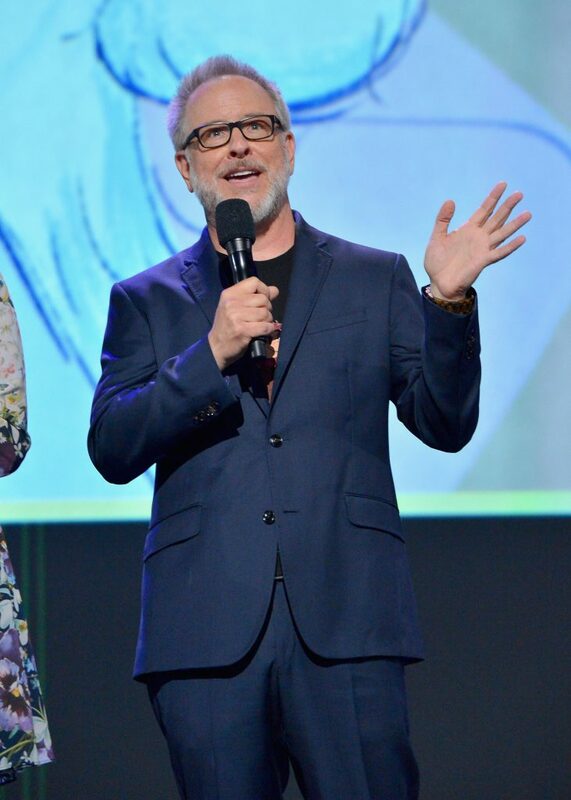 Photo by Alex Kang/Disney. ©2018 Disney. All Rights Reserved. In addition to getting to know our favorites from Wreck it Ralph better, Ralph Breaks the Internet introduces us to a bevy of new characters…and shows us some familiar characters in a new and unique way. Yes, I’m talking about the princesses. More about them in a minute. In Ralph Breaks the Internet, you’ll meet Yesss and KnowsMore. Yesss (I’m loving the fact that there are THREE s’s here) is an algorithm of a trend making website called BuzzzTube, which is a cross between Buzzfeed and YouTube. And yes, I am loving the triple z. I have no idea why. If it’s hot and trendy, Yesss knew about it five minutes ago. Her appearance is constantly changing – she has a cool fiber optic jacket and six different hairstyles that change based on what’s trending. This is Yesss. 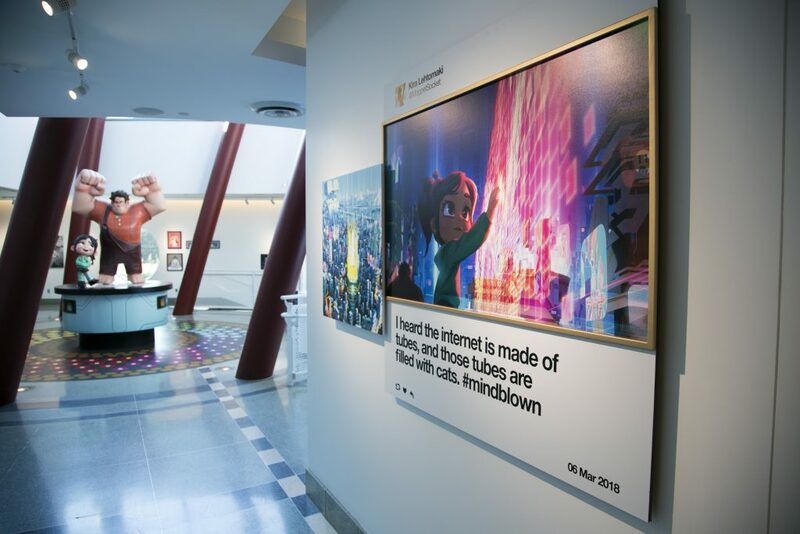 Environment as seen at the Long Lead Press Day for RALPH BREAKS THE INTERNET at Walt Disney Animation Studios on July 31 and August 1, 2018. Photo by Alex Kang/Disney. ©2018 Disney. All Rights Reserved. KnowsMore is the search engine with the “aggressive autofill” you meet in the trailer. In addition to Yesss and KnowsMore, we’re introduced to the concept of Netizens and Net Users. Netizens are citizens of the internet and Net Users are us, inside the internet. If I’m searching for “kids soccer cleats” online, I become the Net User while inside the internet and the Netizens are the employees of eBay, Sports Authority, Academy or wherever else I land in my search for cleats. I know…it’s kind of hard to wrap your head around unless you’ve seen it but once you do see it, it makes sense and its fascinating. It definitely gives surfing the net a new depth. Yesss and KnowsMore are Netizens, by the way. And the Princesses at Oh My Disney? I think they’ll be scene stealers and probably the best part of the movie, intended or not. We love you, Ralph, but seeing allll the princesses together in one room is pretty spectacular. And get this: all but one princess is the original voice. While you’re seeing a slightly different version of some of the princesses – you might have seen the trailer and noticed the animation looks a little different – the voices behind them are the same ones you’ve always known and loved. I’ll have more to share about those princesses later, so keep checking back or subscribe! We don’t know exactly HOW Ralph breaks the internet. Is it “break the internet” because you went viral or the kind of “break the internet” where you pull the plug on the gonkulater that causes the Google to disappear. And yes, gonkulater is a highly technical term. I can kind of see Ralph being a little bumbling and clumsy in the unfamiliar internet land and literally breaking something. I asked the question to Rich Moore during our Q&A, and while he didn’t exactly answer me, he did give a few hints. I’m kind of hoping Ralph goes insanely viral by doing unboxing videos. I’d love to see him talking about the stuff in his Birch Box, wouldn’t you? I guess we’ll have to wait until November 21st to know for sure! I know a few secrets but it wouldn't be fun if we knew everything in advance. And just because I love y'all, here's some peeks inside Disney Animation Studios. It's an incredible place and you can feel the creativity pulsing through the air. I know we call Disneyland the happiest place on earth and Walt Disney World the most magical place on earth but Disney Animation Studios is easily the most creative and inspiring place on earth. I feel so honored I got to spend the afternoon there. 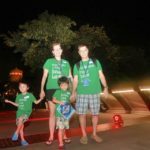 I was invited to Los Angeles this summer to be the guest of Disney and Marvel Studios (EEK! Right?) to attend the world premier (EEK again) of Disney's Christopher Robin, which, by the way, is an amazing family film. If you haven't seen it yet check out my Christopher Robin Landing Page to see all the things. Our hosted trip included a visit to Disney Animation Studios for an early press day in advance of Ralph Breaks the Internet which is THE cutest movie everrrr. Let me admit a couple of things here. I was so so so (so infinity) excited to get the invite from Disney and Marvel Studios to attend the World Premiere of Disney's Christopher Robin. I was even MORE excited to get the opportunity to have a Marvel-esque side event and to be able to interview Avengers Infinity War Executive Producer Trinh Tran because I am a Marvel girl in a Marvel world. Ralph Breaks the Internet? Yeah, that's some nice icing. The first movie was cute and we loved it. Looking forward to the sequel (because of course we are) and seeing what's next for Ralph, Vanellope and all their friends. But fast forward. 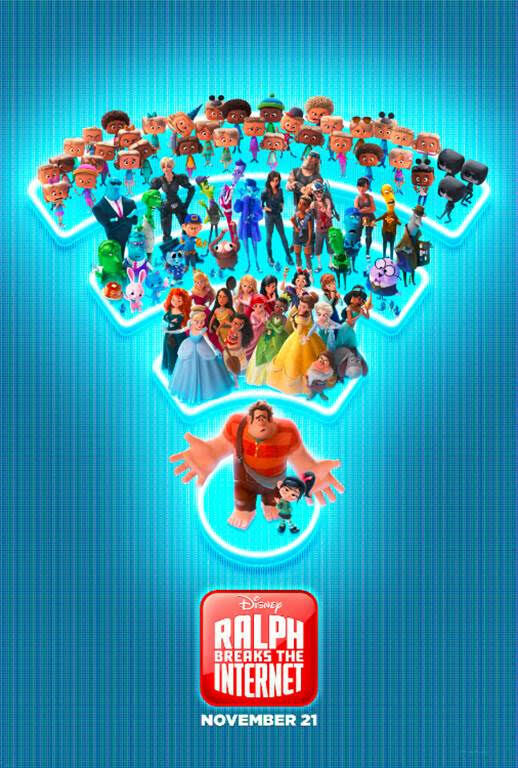 Ralph Breaks the Internet is raise the roof exciting all on it's own. I can't say I'm more excited about what I learned at the Ralph Breaks the Internet Early Press Day than I am about all the other awesome Disney and Marvel experiences I had on this trip because it was all pretty Von Schweetz but I am so much more excited for the November 21st release of Ralph Breaks the Internet than I was a couple of months ago. I'm “refreshing Fandango to make sure I don't miss the start of advance ticket sales” excited. I should have known better…Disney doesn't do “meh” or “that's nice.” They do “blow you away spectacular” and Ralph Breaks the Internet is no exception. Ralph Breaks the Internet builds upon that friendship. Ralph is the same ham-fisted video-game bad guy with a heart that we all love. He treasures his friendship with Vanellope and is monumentally upset when Vanellope's game breaks, putting Sugar Rush in danger of having the plug pulled. Ralph takes it upon himself to track the broken part down – on the internet, of course. 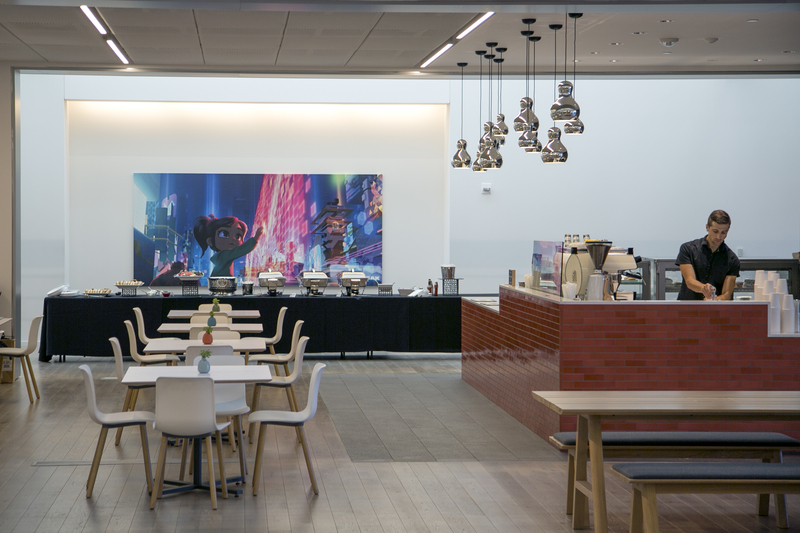 I've only seen snippets of the movie – I've of course watched the trailer but I also got a couple of other sneak peeks while inside Disney Animation Studios during the early press day in July. 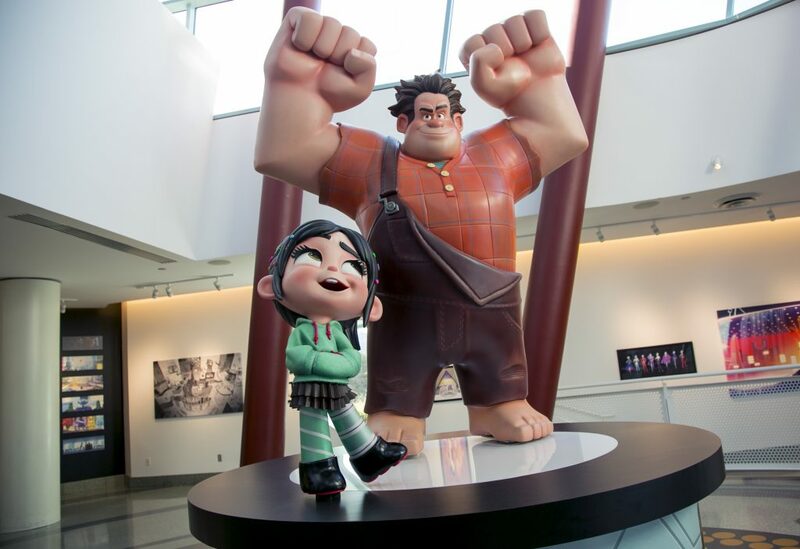 Ralph and Vanellope established their very special friendship in Wreck it Ralph and it's going to be awesome to see how their friendship evolves in the face of (some very hilarious) dilemmas. “Their friendship is so genuine,” says Director Rich Moore. “The chemistry between them so engaging—that I think we were all anxious to know more about these characters.” I know I do! This is not just a great movie, it's a phenomenal one, in terms of tech and story line. Although this isn't something the average viewer is going to be cognizant of, my behind the scenes look at Ralph Breaks the Internet has left me in awe of the creativity and passion of the people behind the film. We had the opportunity to see a footage presentation and introduction followed by a Q&A with Director Rich Moore, Director/Writer Phil Johnston and Producer Clark Spencer and get their insights into this film, which is the first feature-length theatrical sequel from Walt Disney Animation Studios since 2000’s “Fantasia/2000,” which was a sequel to 1940’s “Fantasia.” The only other sequel in the Disney Animation canon is 1990’s “The Rescuers Down Under.” “Ralph Breaks the Internet” is Walt Disney Animation Studios' first-ever sequel to be created by the original film’s writing/directing team. The fact that the same people have consistently developed these characters and this story line is going to add a level of depth to this movie that I think will be unprecedented. “Ralph and Vanellope are imperfect characters,but we love them because of their flaws,” says director Rich Moore. That's so true, isn't it? We don't relate to perfection because we're not perfect. I love how we get to see Ralph and Vanellope struggle and recognize some of our own struggles in theirs. One of the things that you won't see that makes Ralph Breaks the Internet so special is the cohesiveness of the tam of Moore, Johnson, and Spencer. After Wreck it Ralph wrapped, the team moved onto production of Zootopia. Zootopia pushed the limits of emotional storytelling in family storytelling. “Zootopia really showed us that you can push the tone and the emotional depth of a story pretty far with a family audience and it will resonate as long as it’s truthful,” says Johnston, and I think the team is building upon this approach in the making of Ralph Breaks the Internet. Okay, and the old ones, too. Felix and Calhoun are back and they're as crazy about each other as ever. We definitely get to know this unlikely couple better in Ralph Breaks the Internet. And, as much as we love Ralph and Vanellope and seeing how their friendship blooms, I predict Yesss and the princesses in Oh My Disney are going to be major scene stealers. Yesss (I love the fact that there are three s's) is a new character (voice of Taraji P. Henderson) is the head algorithm of a trend-making website called BuzzzTube (and yes, I love the fact that there are three z's…I guess I have a thing for extra consonants – ha!). If it’s hip, if it’s trendy, and now, Yesss has seen it first and shared it with the world. If anyone knows how to work the web, it’s Yesss. Her appearance is constantly changing based on what's on trend. She sports a fiber optic jacket and six unique hairstyles that shift with the trends. I wish my hair would do that. Ralph Breaks the Interent introduces two new groups of people – the Netizens and the Net Users. Net Users are the avatars that represent real people who use the internet. When you're operating inside the internet (i.e. searching, scrolling, reading) your Net User is inside the web doing the work. The Netizens are employees of the internet that assist Net Users with searches and purchases. Yesss is a Netizen. It's a little hard to wrap your head around without actually experiencing the movie…I think the concept of Net Users and Netizens are kind of “You have to be there” but once you are there, it makes perfect sense. The following trailer shows us a little more of the princesses in Oh My Disney and introduces a new character played by Gal Gadot. I can't wait to learn more about this one! I I still have a few surprises up my sleeve so you'll have to stay tuned…but I CAN tell you that this only scratches the surface of how awesome these princesses are. 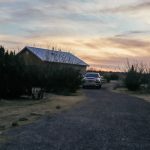 I use the internet every day…it is a part of nearly everything I do and that's just the reality of life in late 2018. But building the world of the internet in an animated setting? It's incredible to see how these very talented Disney imagineers have pulled this off. Try imagining the world inside your computer as a large, bustling city, such as New York City or Dubai and you'll begin to visualize what the world of the internet that Ralph and Vanellope must navigate. It's something that is difficult to explain to someone who hasn't seen the footage (I've tried) but it will be such a feast for all the senses once you see it all working together. I hope I've convinced you that this isn't “just another sequel.” It's so much more and with the quality of everything Disney has consistently put out there, you should expect nothing less than to be blown away. Because you will be. 5. But what we DON'T know yet? Exactly how Ralph breaks the internet. I asked this question of Rich Moore during our Q&A at the early press day and although he hinted at viruses, cooking demonstrations and unboxing videos, that's still part of the mystery…for now. Any guesses? I'm kind of voting for “unboxing videos.” I for one would love to see Ralph open a Birch Box on YouTube…I mean BuzzzTube. 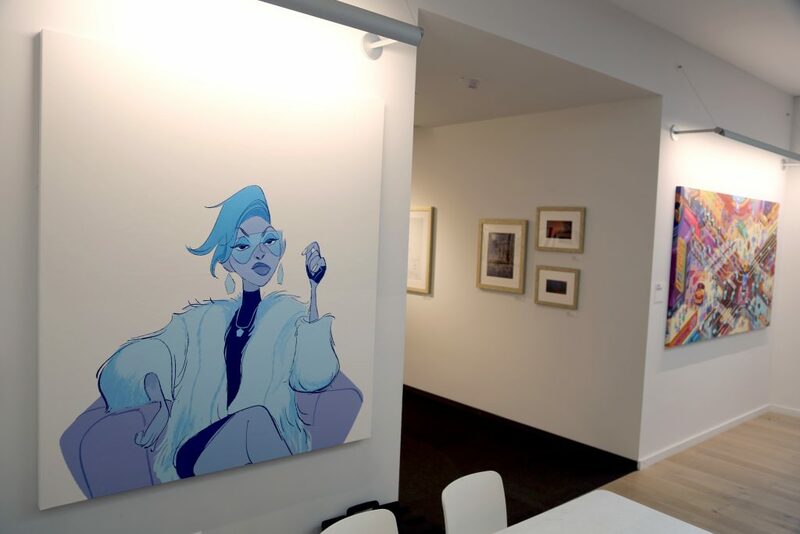 And, just because I love y'all, here are a few sneak peeks inside of the Disney Animation Studios. 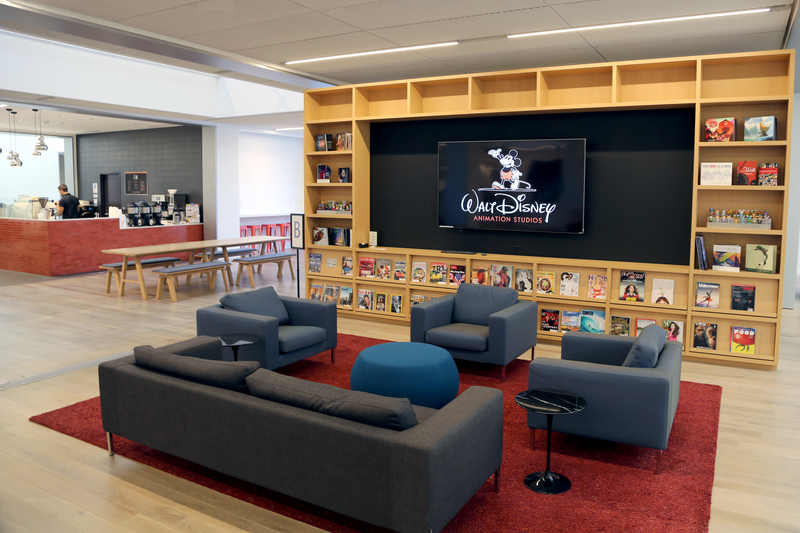 I know we call Disneyland the happiest place on earth and Walt Disney World the most magical place on earth, but I really think Disney Animation Studios is the most inspiring place on earth. There's a very feel-good vibe present and OMG – if the walls could talk. So much creativity is flowing through the air, which I think contributes to the energy.